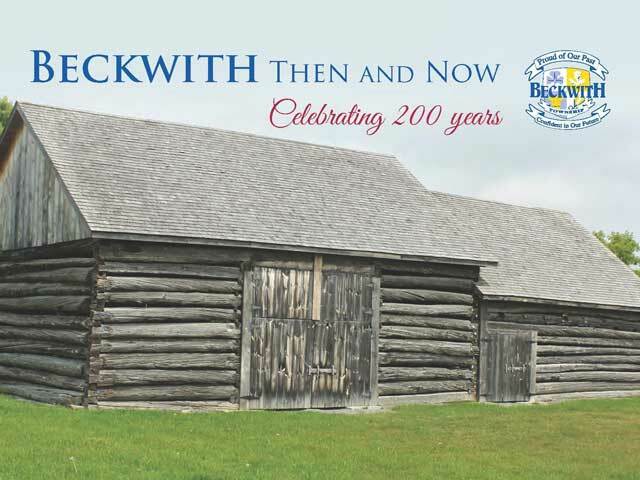 “Beckwith Then and Now is a must read to appreciate our rural Canadian heritage. Written in the classic storyteller method and using an unique modern almanac style, this book captures life in a typical rural setting for the past 200 years. With its exquisite photos, home-spun wisdom, short stories about life, and wonderful artifacts and recipes, Beckwith Then and Now leaves the reader wanting more. What a wonderful journey it was! A walk through the pages of time as we traveled on paths first walked by early settlers, and lived their stories so beautifully told in BECKWITH THEN AND NOW. Then to be brought into today’s world with happenings that have made the township of Beckwith what it is today, is a finely crafted accomplishment for those who put this remarkable book together. Faces we know, and faces brought to life from another time, make this book one to cherish and enjoy time and again. Recipes long forgotten, give an added dimension to this wonderful book that should have a place of honour in every homestead of this remarkable place we call Beckwith.